Another out of the woodwork, An ubu zaimei wakizashi signed, Nankai Tairyo Tomotaka, and dated Kaei yon nen hachi gatsu hi (a day in August 1851). Shinogizukure, iroi mune, torizori, chu kissaki. Hawatare: 1 saku 4 sun 5 bu 6 rin ( 44.13 cm / 17.37") Motohaba: 3.13cm. Sakihaba: 2.43 cm. Kasane: 6.4 cm. His hamon is narrow chu suguba in nioi. The blade has been obscured, but it is reasonable to assume an itame hada. Rated Josaku in Fujishiro's in Nihon Toko Jiten - Shinto-Hen, valued at 3,500,000 yen in Toko Taikan. There is a small area of open metal in the the shinogiji, and someone attempted to polish it out, which left a slight dip. Not a damning flaw, but I need to point it out. Excellent shakudo nanako fuchi-kashira, a silver and gold mon on the fuchi, and a large silver kanji (kin or chika - close, near, intimate, friendly) on the kashira. The iron tsuba has strong carving of water plantain and gold nunome arabesque, signed Aizu ju Shoami, two piece habaki. The saya, has had the pocket for the kozuka broken open, and has been repainted. I can be saved, but with a lot of work. 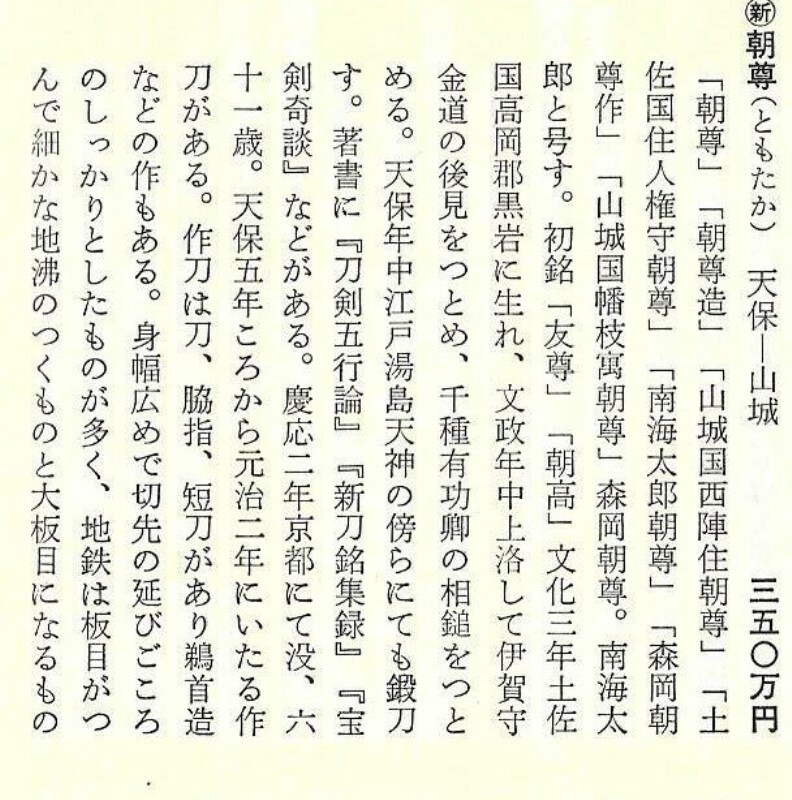 His home province was Tosa, but when a Yukihide became the smith to the Tosa Han, he moved to Kyoto, and mastered the skills of the Awataguchi smiths. 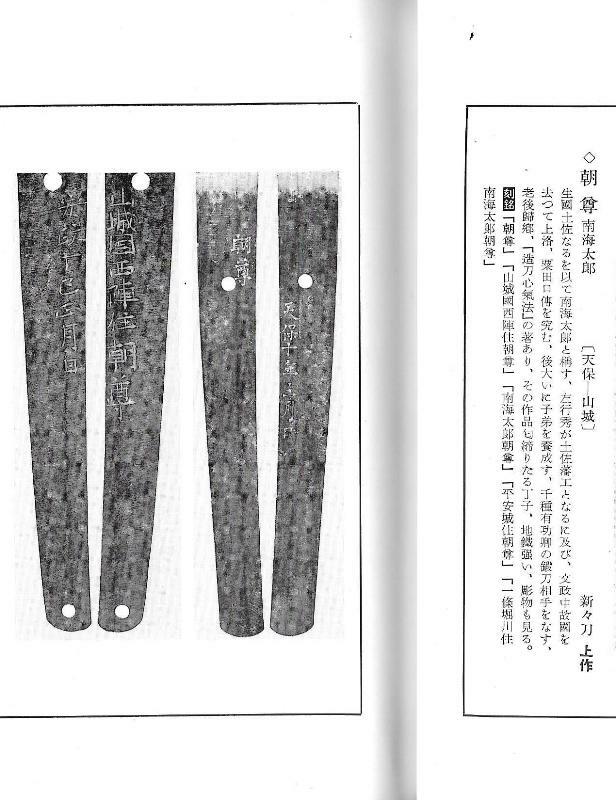 In his later years returned to Tosa, and wrote Zoto Shinkiho, roughly, Spiritual and Mental Laws of Swordsmithing.